If you’re just getting started with content marketing there is an important tool you should highly consider using, and that is self-hosted WordPress for Websites. Self-hosted WordPress is different from WordPress.com which is a blog site that runs on the WordPress platform, but it doesn’t have all the capabilities that using self-hosted WordPress has such as using the server of your choice, owning your own site, and more. The fact is you can build a beautiful website or blog with self-hosted WordPress completely free as far as the theme and platform if you want to. You can buy a premium theme, but you don’t have to, not when you first start anyway. Plenty of profitable blogs and websites are built with completely free themes. A WordPress site looks professional because it is. Plenty of big businesses and organizations use self-hosted WordPress to build very complicated websites. Some examples if you want to see them are The New Yorker, Sony Music, The Walt Disney Company and several colleges and universities. 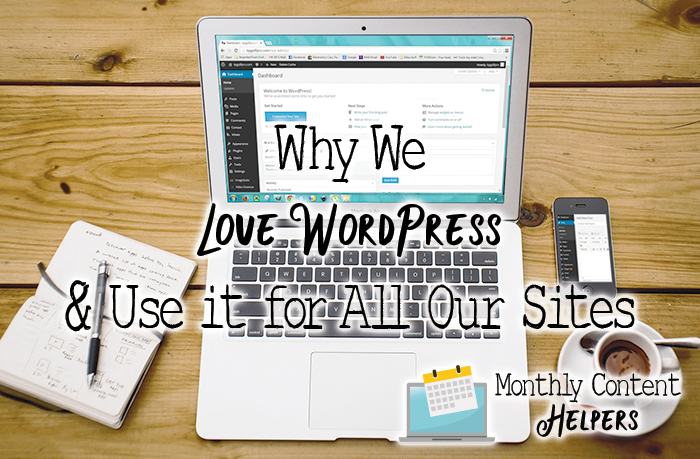 So many people use self-hosted WordPress that you’re going to be able to find advice, help, and contractors inexpensively to help you if you need it. But, it’s so easy to use that you may only need help for the most complicated issues like you would if you used any type of platform to build your site. More than likely in any group you’re part of, where people build websites, you can ask your question and get someone to help you. But WordPress.org is also a good place to find information and answers. WordPress is just as flexible if not more so than any other builder you can find. You can build any type of website with the platform with the right plugins and theme. You can tinker and try out different things without breaking your website and change the look of it on the fly. Plus, you can add security to the site to protect it too. This is kind of touched upon above, but the features you can add are unlimited. If you cannot find the feature you want in a plugin, you can hire a developer to make it for you if you want to. You can create a full-fledged e-commerce site, a membership site, an interactive social site and more. Only your imagination can stop you when it comes to creating websites with self-hosted WordPress. If you use some site builders, it’s hard to integrate an email list to them. But with self-hosted WordPress, it’s easy because you are free to add in your own code to the site and integrate other software into the self-hosted WordPress platform and usually it’s not that hard to do. You can find videos for almost anything on the WordPress site but also on YouTube as well as on the site you bought the program you are trying to integrate. The most important thing is that it’s easy to get started. You don’t have to build out the site to be fully featured from day one to make it useable. To get started all you have to do is buy a domain, buy hosting, install WordPress (in just a click or two), choose a theme, install that theme also usually in just a few clicks, subscribe to an autoresponder, add the code, and now you’re ready to add content and build up your audience. It really is that simple. If you can use your bank’s online platform or use Facebook, you can easily use a good theme, and self-hosted WordPress to build a blog and working website within a day. The only thing that may be stopping you is overthinking it and believing you need it to do everything from day one. You don’t. 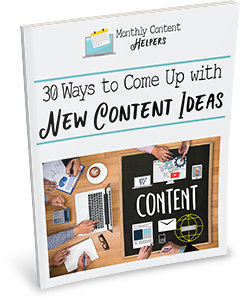 You can start now with building out the blog, get content up, and build the traffic and add more features as you go. If you would rather not do it yourself, you can also hire Shannon to help you. But whatever you decide don’t delay. The sooner you try it the sooner you’re going to realize that it’s not that difficult.